UPDATE: Through the Night EP has been released now. Listen to it or buy it here. As the beautiful season of rains is coming up, we need some beautiful music with it to celebrate. Something a little melodic, something little upbeat, something which rocks and snares up our little music sensing nerves. Something which is about love, something which is about feelings, something which could stick in our play lists for long enough! We present you these two amazingly talented gentlemen, both of whom are natively from Bhopal, Apoorv Chouhan and Aham Saxena from SteelRush, a melodic/ album oriented rock band who are set to release their very first EP "Through the Night". This is the same SteelRush which is also featured in our list of Top 10 Bands From Bhopal. They came into notice to most of the people in the local rock scene in India when they released a demo of their song "A Winter's Night" back in the early 2012. Like many others, I found this song to be beautiful and listened to it many times, I still do love it. A Winter's Night was acclaimed by a lot of music people in the country and outside. Everyone got an overview about what this central Indian talent is about and we all didn't want to wait much for more from them. But good things don't come that easily, or that frequently, maybe. So after waiting for more than three years, they are finally set to release their four song set in an Extended Play (EP - A short album) which they have titled "Through the Night". Which is being considered as one of the first pure play 80s style melodic rock / AOR acts from the country. This is not a very popular genre in India where most of the people are into regional music, bollywood or maybe the popular rock. There is a developing rock scene in India which is still trying to find it's mark on the globe compared to western talents. This whole act of having a melodic rock band is very appreciable and it would introduce music lovers in the country to a genre which they should listen to for its beauty, and I am sure a lot of people are going to love it. "The band technically started in 2011 when the guitar player Aham Saxena met singer Apoorv Chouhan. Fueled by a mutual interest in 80’s rock, the two began recording original material at their home studio. It became clear right away that they had something worthwhile after the first few demos, and they knew the time was just right to bring back the classic sound. After an array of lineup changes, SteelRush decided that it was best to continue writing their music as a two-piece band, while performing with session players when they went live." 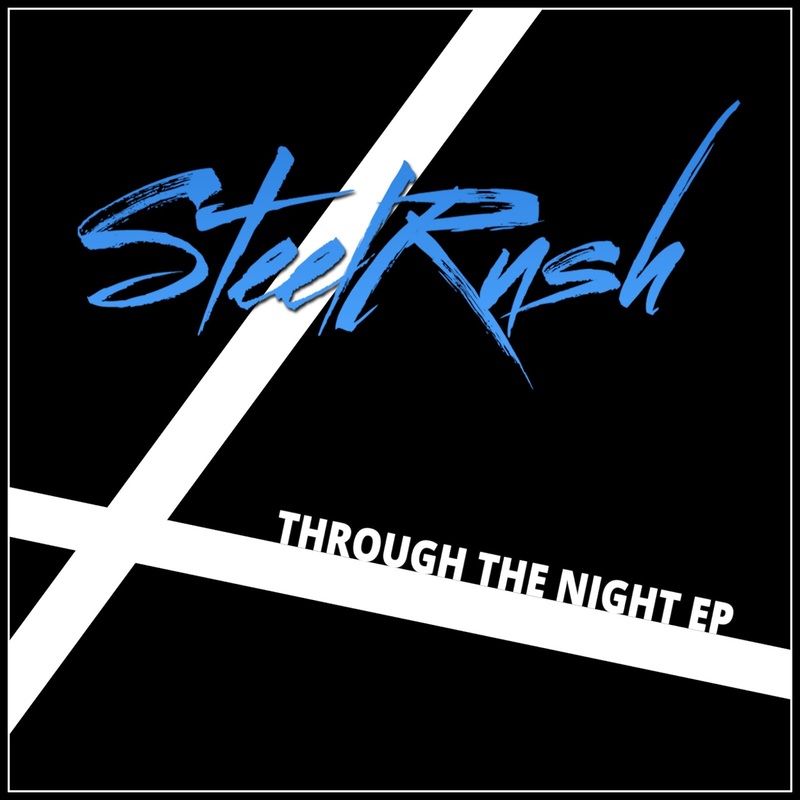 Through the Night is the upcoming EP of SteelRush which they are very excited about. It would be a compilation of four tracks, two of which, Mysterious Eyes and Round n Round are already released on their Youtube channel. They also have produced this EP themselves. The two singles which they have released so far are being received with love all over and are also being featured on international radio channels like C.O.A.R Radio Show(USA), and Amadeus Melodic Rock Show(Italy). 1) To start with, we all would like to know what SteelRush is, how it originated, where do you plan to take your band and what is your roadmap for the coming days? Well, technically we started long back in 2011 and the band underwent many line up changes to become how it is right now. And we are taking our upcoming album as our debut. As for the coming days, apart from launching and promoting our EP, we have started writing for our next CD as well. genre which is not very popular in the country? Both of us have been big fans of this type of music, We love the fact that these songs are very simple and very melodic, We're just being honest with ourselves. We don't play anything pretentious or anything that we don't like or believe in. Talking about the Indian scene, Even though this kind of music isn't popular at the moment, we're still getting a warm response and slowly yet steadily are getting popular among the masses. different it is from being in a regular weekly-jamming band? In mid 2012 we moved to different cities and the band went into a hiatus. But we decided to work it out and continue anyway. We share our ideas on emails and discuss them over the phone and short trips. It is definitely different from the usual way bands jam, but we're now pretty much used to our 'long distance' way of working, haha! genres like melodic rock can be promoted in the country? We're into other genres as well. We listen to a variety of bands like Pink Floyd, Dream Theater, Megadeth, Queen. Lately we've been into a lot of power metal too. We use Facebook and other social media to promote our music, but to be honest we think if the music is good enough, it promotes itself. 5) Would you like to take up more frequent tours, or will you focus more on recorded music? Yes, we're planning to play live as soon as we get the right members/session players. Until then we're planning on playing acoustic sets - just the two of us. And we're always writing and recording demos.. it goes parallel. 6) Who writes the songs? Can you describe your songwriting style and influences? We both write the music together. But Apoorv is the sole lyricist of the band. 7) Could you briefly describe the music making process? In our case the music comes first, then comes the lyrics. Usually we start off when I have a rough song structure in mind. I record it and send it to Apoorv, He then records his vocals over it and changes the chord structures accordingly. We keep trading ideas until we have something good. Sometimes we write a complete song in one-go and sometimes we keep going back and forth. For example, "Mysterious Eyes" took us forever to finish. But it all came out pretty satisfactorily - at least that's what we think! Definitely finding the right members to complete the line up. It's really difficult to find people with similar taste & approach towards the music. Other than that..I guess finding venues that pay - it's still a distant dream, Haha! 9) How has your music evolved since the start of your career as a band? We feel our writing, playing, singing and even the production has improved a lot - but that's subjective. We definitely are more in love with the song writing process than ever. Our new stuff focuses a lot on catchy hooks, vocal melodies & minute intricacies rather than fast solos and high pitch screams. Our music, in short, has matured a lot in this time. 10) In one word how would you describe what your fans should expect from the new EP? That's a tough one! But if we had to, I guess it'll be "melodic". 11) How do you plan to do the promotions? For promotion, we're using social network as much as we can. Our singles are being played by online radio shows such as C.O.A.R Radio Show(United States) and Amadeus Rock Radio Show(Italy). This has helped us reach audiences across the globe. Having said that, we plan on doing more frequent gigs to get a stronger base here in India. your music and your lives as musicians? We both think the same way about the city, we think there's a beautiful quality of Bhopal that can be attributed to it's simplicity & calmness - it doesn't try to chase anything else. And we're pretty much the same way with our song writing. 13) Do you wish to recommend some artists you like to our readers? Though the list is endless, some of our favourite, slightly underrated AOR/Melodic Rock artists we'd want people to check out are - Winger, H.E.A.T, Harem Scarem, Foreigner, Strangeways & Atlantic. We need a lot of support from you guys to make our E.P a success. So please check out our music and follow us on YouTube & Facebook to keep yourself updated with the latest news from our side. Cheers! 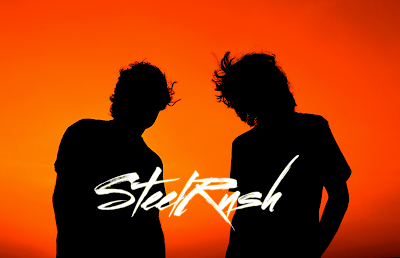 SteelRush is available on Facebook. You can like their page by clicking here. We will update you all when Through the Night is released, you can check out their music on Youtube meanwhile. Have any messages or views? Do comment using the section below and we will let them know what you think. For more updates from Bhopal, stay tuned. I have never heard about steel rush before. I just read the interview and found this band really good. Thank you for letting us know about this band.